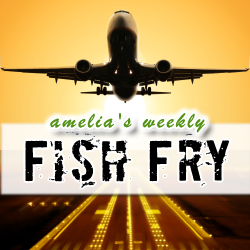 In this week’s Fish Fry – we’re talking tools, we’re talking airplanes, and we’re talking watches. First, I’m chatting with Jim McElroy (Vice President of Marketing – LDRA) about where LDRA fits in the embedded tool landscape, what their compliance management system is all about, and how this compliance management system may help you get your next Mil/Aero design off the ground. Also this week, I’m checking out how Aldec’s new Spec-TRACER tool suite can help you navigate the twists and turns of your next DO-254 design and why you should check out a new Kickstarter campaign that is attempting to launch a brand new smart watch called The Agent. I’ve got a chipKIT Uno32 Arduino-Compatible Prototyping Platform to give away to one lucky listener courtesy of newark element14 this week! Head on over to element14.com/fishfry to enter to win.